Celebrating one bundle of joy is fun, but celebrating TWINS – now that’s Double the Fun! 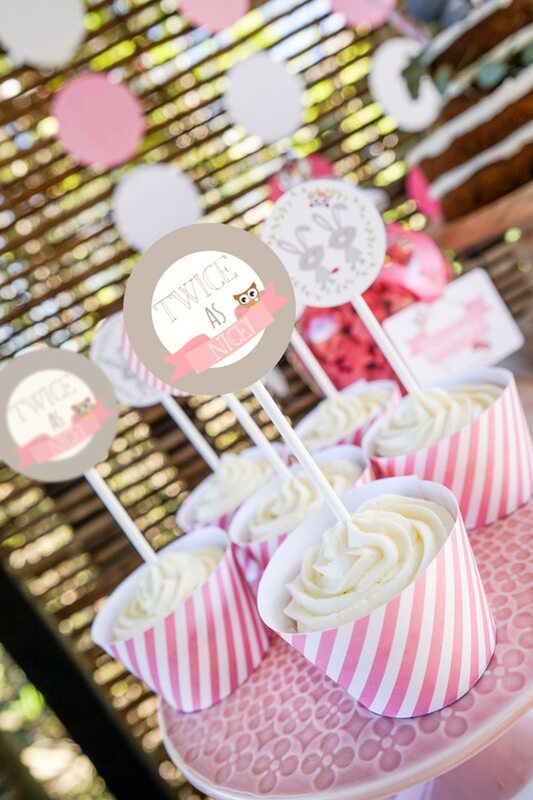 This sweet twin bunnies baby shower was simply elegant with adorable details fitting for their very excited momma-to-be! 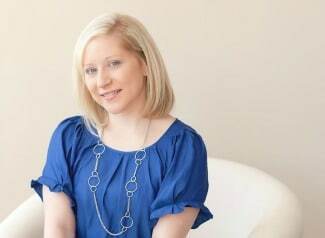 From Sunshine Parties: When Shoshanna found out she was pregnant with twins, she could not have been happier. Unlike some of us, who might have needed some time alone and a box of tissues to digest the ‘twins’ news, she was delighted! 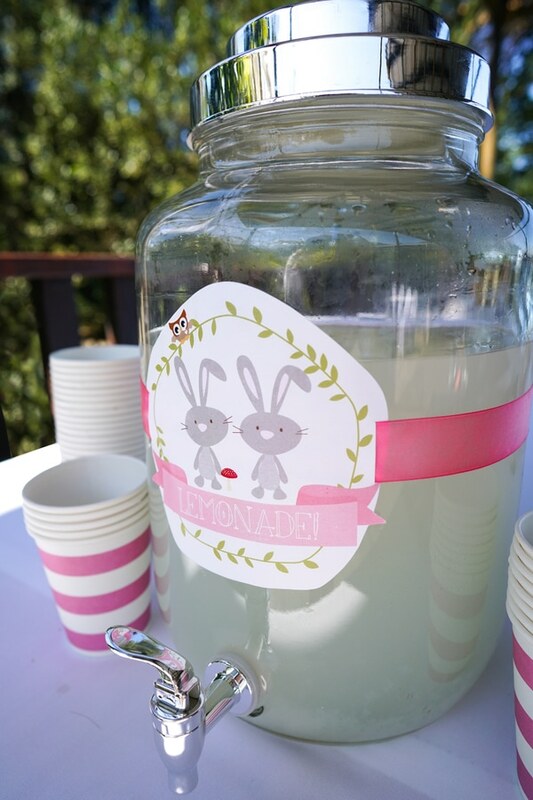 So, we needed a “twin” baby shower fit for the pending princesses, as the gender reveal showed us they were girls! 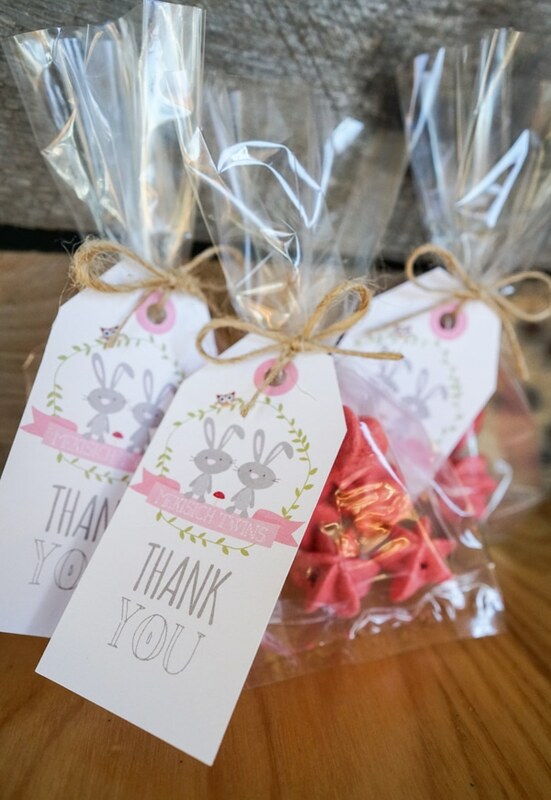 Grab the adorable twin bunny shower invitation HERE. Shoshanna’s style is very simple, classic and elegant. So the shower ambience and décor needed to fit in with this. 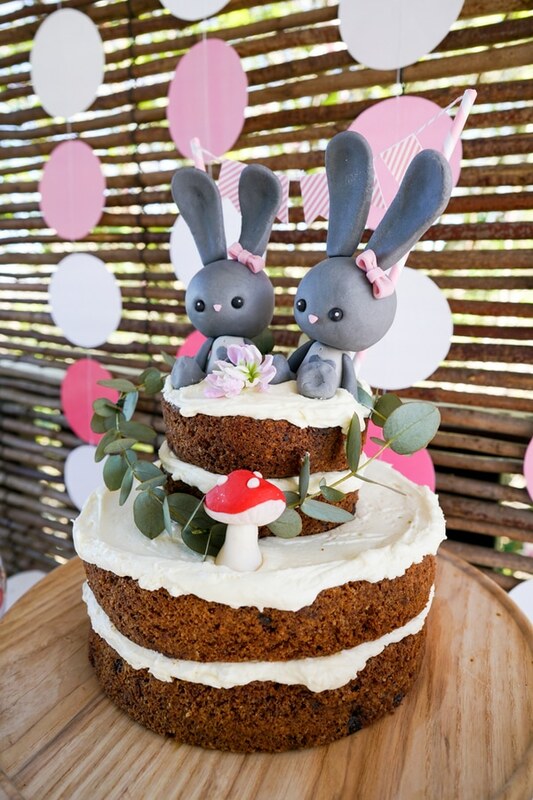 We went with pink, white and gray, with two identical gray bunnies on the cake to represent the identical twins. 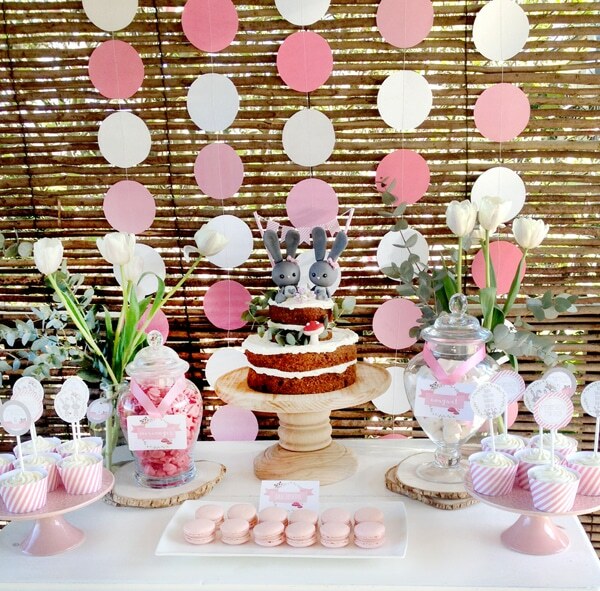 The detail in this small, intimate baby shower is what made it so special for Shoshanna. Her favorite cake? Carrot cake (fitting with the bunnies on top!). 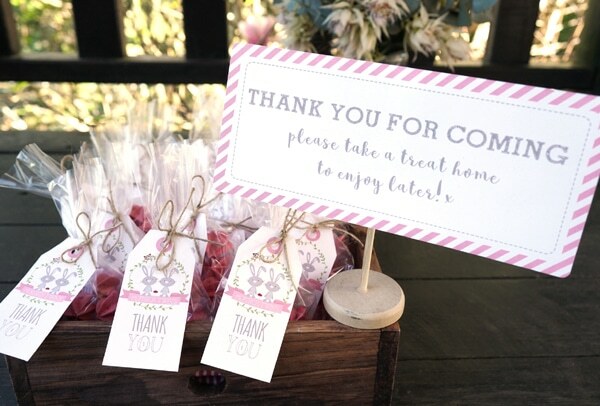 The cupcakes with gorgeous pink and white wrappers and toppers had a lemon sponge. 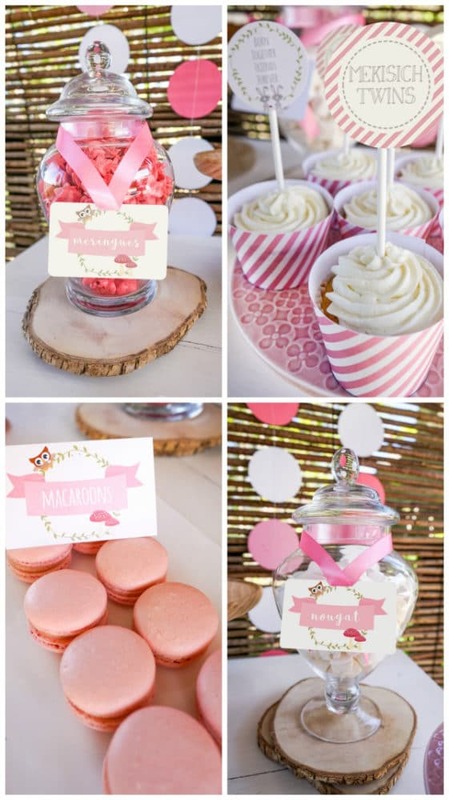 Another of mom’s favorites graced the pretty table of delicate treats – pink macaroons! 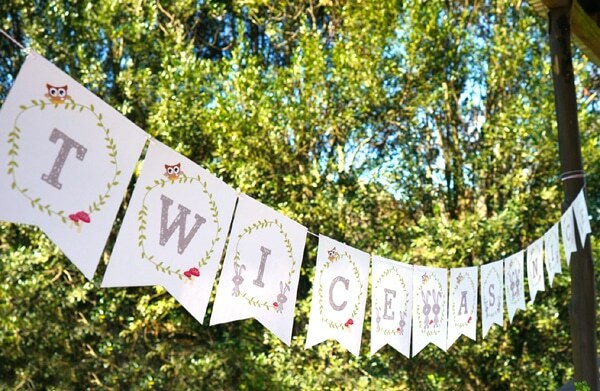 A beautiful detail was the printable ‘Stats’ poster and ‘Wishes for the Girls’ cards. 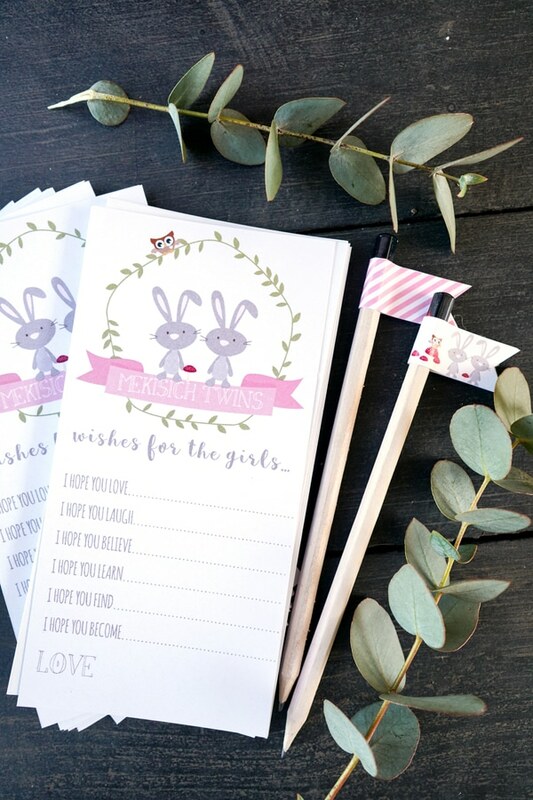 Each guest could fill out some of their hopes and dreams for the special girls, so that Peyton and Rachel will have a box of precious and memorable messages to read when they are older. 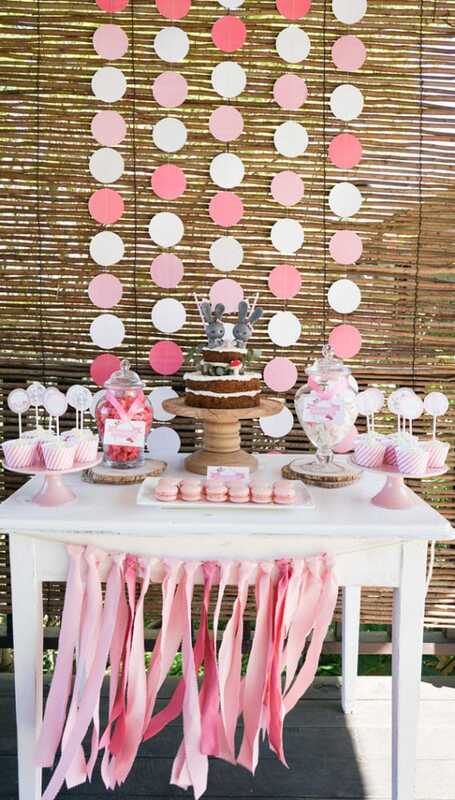 What’s your favorite detail in this Twin Bunnies Baby Shower? Let us know in the comments below!